Often she herself would be the most applauded and she liked it. Yet, if she received a reward she would always share it with the people around her. She had to go through some disappointments also, but withstood them, and on the whole she lived a happy life. Little Peter was born in what people call the western part of the world (even though on a round globe “west” and “east” everywhere depend on the place where you stand or are born and therefore do not really exist on a fixed place). His father and his mother’s mother had been born on another continent, either to the east or the west, but his own mother had taken birth in the same country as Peter, 34 years before. Peter had one sister also. He was a beautiful kid, born with blue eyes and lots of curly hairs on his head. He had a big mouth, so that it was easy for him to laugh in a broad smile, and that is why everyone loved him. When he was so small he was so nice to behold. But later his big mouth and his very white skin made him look less attractive than many other kids. There was always some staring, but also determined look in his eyes, as if he was unconsciously afraid of something which he would have to fight. But for the rest he was a very normal kid. His parents were very religious, that means they went to church every Sunday and when he was four they would take Peter with them. He understood nothing of what the minister said, but he understood that he was not supposed to talk in the church, nor could he walk around or play on the floor with his toy cars. Mama was always wearing special cloths on Sundays in the church, and there were many men in grave suits, but others just came in shorts. Many of the women were wearing hats (so that he could see even less from where he sat of where the minister was standing – but he was too small anyway – and he was more interested in hats than in ministers, so it did not matter. Once he asked his mother why he was not allowed to play games in the church. His mother then put on a very solemn face and said: “This is a holy place, and we are not supposed to play on holy places.” He did not understand why Jesus, who was the best man who ever lived on earth, said his father, would not allow games, because for Peter that was the best thing on Earth, so the best man on earth should allow that. So Peter’s feelings were mixed. It was very boring, but still everyone said that it was a very good thing to go there and listen. So most of the time he looked like he was listening, but in reality he was thinking of himself as the greatest of all car racers in the whole world, or he was wondering when they would go home and have dinner and look TV. When he grew a little older, about 11, he found that his computer knew much more than the minister, because once he had asked the minister who Krishna was (he had heard the name from a girl at school) and the minister had said that he should not think of such bad things, because they did not exist, except in the minds of some foreigners (whatever “foreigners” might mean). But then he went to Google and Wikipedia and found enormous amounts of information about Krishna – who according to some websites was also the best man who had ever lived on Earth. 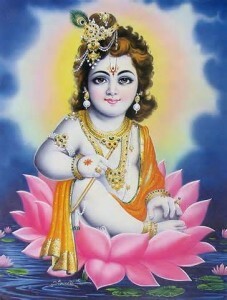 Krishna had been a lovely little child with curly hears, who had been loved by everyone. He performed many miracles (like Jesus) and was always busy pleasing and helping other people. It had almost gone wrong at Krishna’s birth, because some evil king in India, called King Kamsa, had heard that a very special child would be born which, when grown up would slay him and liberate the people from slavery and suppression. So King Kamsa ordered all boys born in that time to be killed, to be absolutely sure that Krishna – who actually was a form of God who wanted to be born on Earth to conquer the illusion in peoples minds of which Kamsa himself was the king. Krishna wanted to bring justice and happiness in the people’s minds and feelings. But, some wise people knew in advance what King Kamsa was planning, Krishna was quickly replaced by a girl, and brought to another town where Kamsa had no power. So he was saved, and when grown-up he “killed” king Kamsa – who was the symbol of anger and fear and slavery in the people’s minds – so that honesty and happiness could be restored on Earth. Then he came across another book about Krishna, called Bhagavad Gita (which means: The Song of the Lord (Krishna)) and found that Krishna in that book talked to his friend Arjuna, and taught him all about the right way of living and how to do his duty by conquering his “enemies”. With “enemies” are meant no people, but his own weaknesses and wrong views. Peter was very impressed. He went to tell the story to the minister who he thought would be very happy to learn about Krishna. But to Peter’s great amazement and confusion the minister became extremely angry! He scolded Peter: “Don’t use your computer for such evil things,” and he called Peter’s parents to complain about Peter. Of course the parents fully agreed with the minister, because he was considered the most elevated person in town. Peter was banned from coming to church for three Sundays. For a long time Peter became a very silent boy. He could not solve the problem why the minister had reacted so angry to something that was so good, and even less why his own parents could not and would not listen to what he tried to say. So he was much disappointed in his parents at that point. For the rest his parents give him a type of education of what most people call “good education” and he got everything he wanted – computers, games, skateboard, snowboard, and was sent to high school when he was twelve, and then got a bike, then a motor bike at fourteen, and they promised him car driving lessons and a car when he was of the right age. Peter had long forgotten about the incident with the minister and his parents. He spent almost all of his time at his computer, playing games, and when he came down from his room for dinner he didn’t talk much. He now believed in Jesus only. He was fourteen. He even wanted to study Christian theology when he was of age, and that was exactly what his parents liked. He wanted to become an evangelist – perhaps a computer-game-evangelist. What Peter himself was not aware, is that what had happened with him when the minister and his parents had reacted to his young and pure feelings, that the voice of his own heart had been silenced, and after some inner struggle he had given in and decided that from now on he would obey and no longer do things that his majors did not want him to do. He started to believe that they had been right after all. By doing so he would be the best boy in the eyes of Jesus. In his former life Peter (or whatever his name was in that time), living in a country far away from his present country, had been quite a serious spiritual person. He had been living in a spiritual community, and around him had been some people who really had some understanding about life. They had told him about Adi (or whatever name they had given to Adi at that time in that country, almost 500 years ago). He had been some kind of monk who did the work that he was told to do as well as he could, and had studied a lot in his free hours and had developed some real feeling in his heart. At some moments he had listened to his heart-mind and had understood something about what was really good and true and beautiful. But because of his busy duty he had not developed it further, and when he became old he became a venerable and respected monk who had much knowledge about the holy scriptures of that culture. He lived a decent life and died at a considerable age. However before he died he had come to the conclusion that he had wasted his time and that instead of it would have been better to have a life of experience. 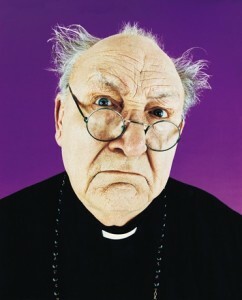 This would have led him to better understanding than all the theories and smooth kindnesses among his fellow monks. The cremation of his body had been surrounded by a lot of pomp. After his death he had quickly freed himself from all evil desires and after that had spent considerable time in “heaven” (as he would have called it in his present life) – that is, a kind of very beautiful dream where all his good ideas came true. He had really developed some feeling of wishing to do something good for mankind. Peter had been a very promising kid in the beginning.